This is a fun little idea for candy. These are made with the Petite Purse Bigz L die, so they are pretty small - just the right size to fit on a co workers desk or for a teacher or really anyone! 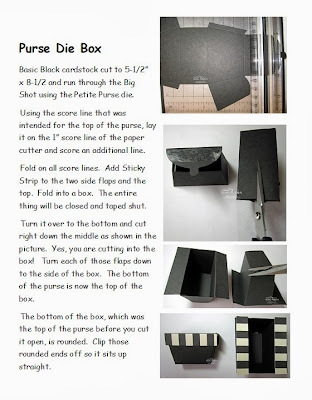 I've edited this post to add a quick tutorial on how to make the box. Click on the photo to see it larger. 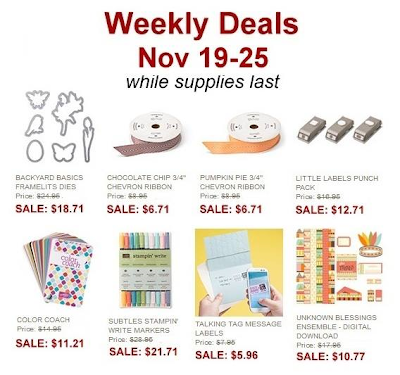 Be sure to get in on the fabulous sale going on right now. Now through December 2nd you can take advantage of these incredible Holiday Deals. 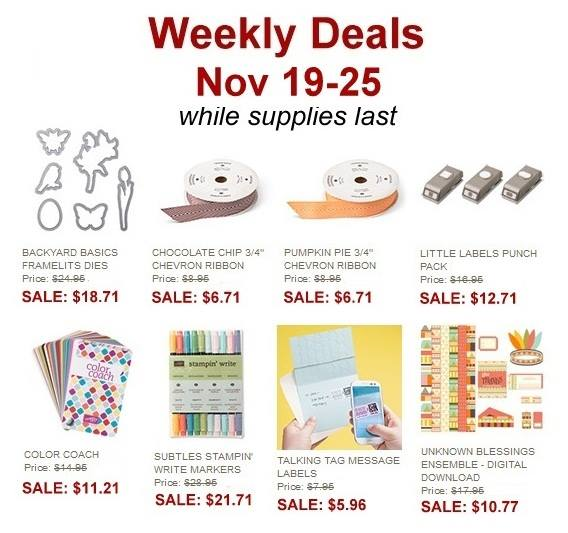 And if that isn't enough, we have this weeks deals also! would really like to make these. any chance that you will post a how to? Becky, just adorable! LOVE them! 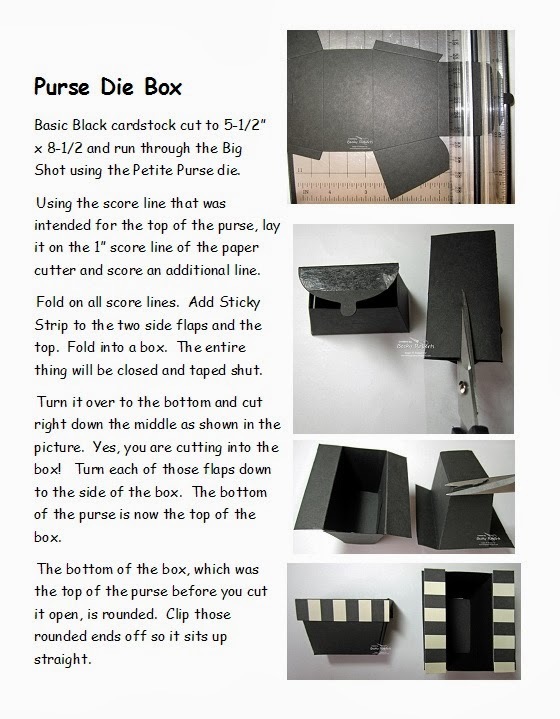 Would love to see step-by-step instructions for the purse/box - would you kindly share??? Thank you Becky. Always happy to find another use for the purse die. I really love that little thing but you can only have so many purses! LOL! Becky you have amazed me once again. Love it!! Adding this die to my order in the morning. 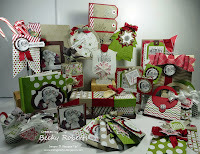 Becky, thank you so much for another great inspiration! I just followed your easy directions and now have another cute use for the purse die! These are really cute, Becky!